A discussion of the meaning of time from a classical and philosophical perspective. Contrasted with the current ideas of time introduced by relativity. A discussion of ideas about the nature of space - is it truly empty? Is a medium of space required to explain electromagnetic phenomenon? 3) The Paradox of the Human Body Smeared Across Time (2010). A paradox arising from Einstein's idea of gravitational time dilation. Do our body parts exist in different timeframes as predicted from Einstein's general relativity? 4) What is a photon? Particle or Wave? Examines the calculated and experimentally measured length of a photon at various frequencies. It is concluded that the enormous length of most photons rules out the possibility that they are particles in any real sense. A thought experiment demonstrating a series of contradictions arising from a modified version of Einstein's twins paradox. The use of sidereal time clocks by both twins shows that caesium clocks count in error when in a gravitational potential. The paper concludes that the time dilation model of Lorentz makes more sense than the model of Einstein. A model explaining how time dilation could be simply an illusion caused by the mechanical slowing down of clocks, rather than due to time actually slowing down. We explore an apparent contradiction in the theory of gravitational time dilation and light bending. When similar principles are applied to matter, large astronomical objects would be predicted to progressively bend under rotation until they fly apart. 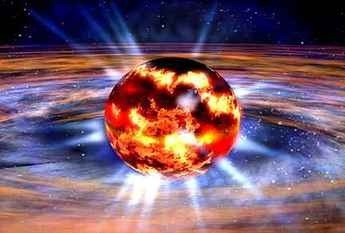 8) Spacetime - Right or Wrong? Is spacetime real or is it just a bogus idea? 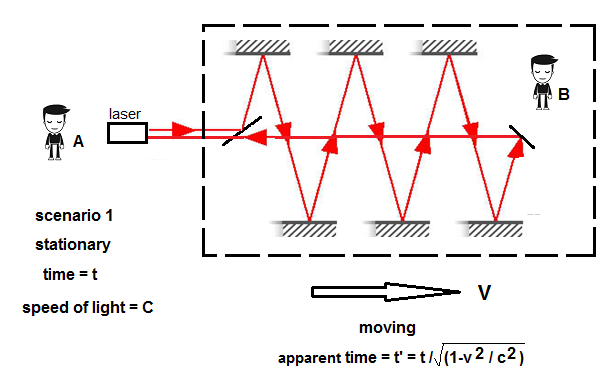 We look at the light clock analogy and a thought experiment using a laser to unravel the true nature of time dilation.